When done right, the best smoothie recipes will leave you feeling full and satisfied for 4 hours afterward while improving your metabolism at the same time. But just how do you reach this utopia of blended-produce-nirvana? I know, you probably heard a record scratch and stopped reading after the, “no dairy,” part. But if you want to achieve and maintain your ideal weight, you gotta stick with me here. After all, you can’t keep making the same decisions (read: mistakes) every day and magically expect a different result, right? So let’s just sidebar dairy for a moment. And before we dive into this list of six items, let’s actually step back for a moment and talk about the bigger picture here. And the question I’m sure you just asked yourself is, “why these items and not the others?” Because I’m sure you’ve seen all these “no-no” ingredients in a smoothie recipe before. Here’s the thing, there are actually very few foods that are anti-inflammatory for everyone. Meaning, if you’re looking to lose weight, achieve lasting weight loss, or improve your overall health, most of the smoothie recipes out there are not going to work that well for you. When a person has more weight to lose, it can actually be pretty easy to start releasing that weight when you know what to do. But, as you lose more and more weight, you have to keep refining and fine-tuning your strategy in order to keep seeing weight loss results. And that’s especially the time when all these inflammatory smoothie recipes are going to be counterproductive for you. That’s right, I just called almost all the smoothie recipes out there inflammatory. And it’s because of what I just said a moment ago. There are very few foods that are universally anti-inflammatory for everyone. Meaning that an avocado green smoothie will work for some of you, but not all of you. Or that mango vanilla Greek yogurt smoothie you can’t get enough of, might work for you but not your best friend. Because the vast amount of research I’ve done on nutrition and weight loss has been about identifying your personal power foods. When people focus at least 80% of their time and attention on those foods, they see huge improvements in multiple areas of their health within the first month alone. Now, there are some foods that are universally anti-inflammatory for everyone, so those are the ingredients I recommend when I’m speaking to everyone at once. But, there are some rare exceptions to this rule, like if you have a food allergy or sensitivity. But, it’s actually really rare for people to have problems with things like blueberries. So let’s take this conversation back to the “6 Things The Best Weight Loss Smoothies Have In Common,” and I think that list is going to make a lot more sense now. In fact, it’s likely a much more powerful list for you now because this list not only includes the things that work for everyone, but it also includes a few common smoothie ingredients that really don’t work for anyone with weight loss goals. With that in mind, you can basically think of this list as the ultimate guide to upgrading your smoothie routine. So let’s dive in! And we’ll focus first on the three ingredients you should definitely include in your smoothies. For starters, I love using frozen berries as the main ingredient for smoothies. They’re like little antioxidant ice cubes and there are several berries that make an excellent choice for everyone. For starters, blueberries, cherries, and raspberries are some of the best choices and easy to find. Out of the three of them, cherries are actually the most beneficial for everyone. Buy organic if you can, and there isn’t anything more convenient than buying and storing frozen. The second main ingredient for blending the perfect power smoothie is to incorporate power greens. I buy mine in the US at Costco, where they sell a big mixed bag of kale, spinach, and Swiss chard. But, if you can’t easily find a blend, at least go for spinach. And here’s my secret bonus tip: when you get home with a bag of fresh greens, just go ahead and throw the whole thing in your freezer – it’s the absolute easiest way to keep those leaves healthy and easy to use. If you’re buying greens outside the US, you may find frozen spinach in little bricks at the store. If that’s the case you’ll want to prep that ahead of time just by setting one of those bricks or cubes into your smoothie cup, or blender, so it can defrost before you’re ready to smoothie-it-up. As for ratios, you want a ratio between greens and berries to be equal, or slightly heavy towards the berries to avoid an overly “green” flavor or texture, especially if you’re sensitive towards that. So work your ratio to get as many greens as you can but in a way where you still enjoy your smoothie. If you haven’t heard me say it before, healthy eating should taste good, too. And the third main ingredient I want you to be sure and focus on is fiber. Now, my favorite way to add fiber to smoothies is with whole flaxseeds. I’ve got a Vita-mix blender so I can blend all sorts of things into smooth creations. And I recommend you add 2 tablespoons per smoothie serving. Fiber is a crucial ingredient to creating the perfect power smoothie because fiber is what leaves you feeling full and satisfied for hours on end. Flax has huge health benefits by supplying omega-3 fatty acids and supporting healthy cardiovascular systems. Now let’s take a look at those three ingredients you should definitely avoid if you’re looking to improve your metabolism and your overall health. I would really encourage you to let go of dairy as much as possible when it comes to your smoothies. If you follow my lead by including the three power ingredients from above, you’ll still end up with creamy smoothies. The truth is, dairy is very problematic for most people who are trying to improve their metabolism. And it’s not just the milk or yogurt you might be adding in, it’s also the whey-based protein powders that dominate the protein powder aisle. So if you want to include protein powder, my recommendation is to use pea protein. It’ll give your smoothies a wonderful creamy texture without imparting a strong flavor. There’s also rice protein powder, although some people find it a little grainy texture-wise; and there are also a variety of other vegan protein sources, but they aren’t anti-inflammatory for everyone like a pea or rice-based protein powder is. The second big mistake I see people making is to add juice or other sweeteners to their smoothies. Now, if you’re following my recommendations and using berries, you don’t need to add juice. Just to point out the obvious, juice is made from fruit or berries, but it’s watered down and usually has a ton of sugar added to it. And we don’t want either of those things because they’ll water down our digestive process and slow our metabolisms. So if you need to sweeten your smoothie, I recommend you add small dried figs or prunes. Either of these two options is small, soft, sweet, and anti-inflammatory for everyone (minus the rare exception like I mentioned above about blueberries). And the last thing I want you to avoid is adding ice cubes. Your smoothie will be cold enough if you’re following my frozen berry and frozen power green recommendations. And ice cubes just water everything down. You want a smoothie that’s thick and satisfying, not something that’s the consistency of water. What’s more important here, is that you want to be consuming most of your water away from your meals because the more water you consume with your meal, the more you are watering down and diluting your digestive juices. Put more simply, too much water with meals is bad for your metabolism. You want your stomach acid and digestive enzymes to be as concentrated as possible so you can break your food down as best as possible. That way you can absorb more nutrients, decrease inflammation, and improve your metabolism. Now, I've reworked smoothie recipes on multiple continents at this point, so chances are you're making one of these common mistakes. But, now you've got a solid understanding of which ingredients you should and shouldn't be focusing on to improve your metabolism with the perfect power smoothie! Be sure to download my personal power smoothie recipe and give these tips a try! Now, before you just turn around and walk away from what may sound like a crazy idea, I want you to hear me out, here. 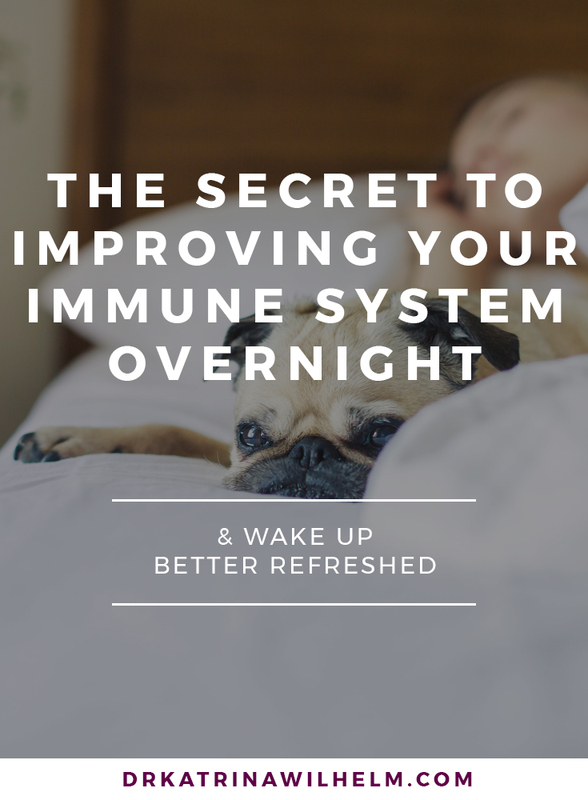 And let me start by asking you a question: what if there was a simple and easy way you could naturally boost your immune system overnight? And what if you already had all the ingredients for this secret strategy right at your fingertips, with no need to go buy anything at all? Wouldn’t you want to know what that simple strategy is and how to implement it today to boost your immune system, especially if it doesn’t include any weird nasal flushing or gargling of questionable ingredients? I sure would. And I’ll be 100% honest with you. I knew about this secret strategy for YEARS before I ever tried it. And when I finally did… well… I was sold. There’s no looking back and I can’t believe it took me so long to get onboard with it all. But here’s the thing: I know how unappealing that sounds. That’s why it took me years to try this out. But the very first time I did, I was sold. I slept deeper and woke better rested, feeling more refreshed with more energy than I had in what seemed like forever. And the whole reason I finally tried it was because I was in medical school at the time and I’ve got a 100% commitment to only asking my patients to do the things I’m willing to do myself. So if I was seriously going to ask people to put on wet socks right before bed, then I had better be willing to do it myself. And I’ll never look back. That’s how amazing this simple strategy is. This type of application may seem counterintuitive, but it actually warms the body overnight. The wet socks are insulated by the dry wool socks, which, together, provide the necessary conditions to boost your immune system and conveniently keep your bed (or bed partner) from being affected. So there’s no wet bedding or cold feet to worry about. Long before you wake up in the morning, your body heat will have dried the wet socks completely and you’ll already be benefiting on a biochemical level. And the net effect of utilizing the secret “wet sock” strategy is that your body pumps out extra white blood cells, immediately boosting your immune system status with extra fighting capacity. It’s basically like calling in the cavalry, or the reserves. These extra white blood cells immediately start hunting down foreign viruses and bacteria in the body. So if you’re already infected, you’ll be able to get over it and get well faster than you would have otherwise. And if you haven’t caught anything yet, you’ll be better able to defend yourself from getting sick in the first place. Now, the added benefit, that you’ve already heard me rave about, is how much better you’ll sleep. And that’s because this natural boost to your immune system also restores your sympathetic tone – meaning it balances your “fight-and-flight” nervous system with you “rest-and-digest” nervous system. Most of us spend way too much time stressing over everything, and not enough time unplugging and relaxing. So this strategy actually signals to the brain to unplug and relax, hence the deeper sleep and waking better refreshed. So if you’re looking for a natural and effective way to immediately boost your immune system to fend off cold and flu season, here’s a great strategy you can implement tonight. *If you have an autoimmune condition, this may not be the best therapy for you. Please consult your physician before trying anything new. Follow these 5 quick fixes for practically guaranteed weight loss. Un-learn the most common mistakes people make everyday that are sabotaging your weight loss and fitness efforts. Of all the diseases people are scared of, dementia tops the list. And that's exactly why it's one of my favorite topics. In this article, we'll tackle the top 4 myths about Alzheimer's Disease and dementia and you can download my free infographic illustrating the "Top 7 (Research-Backed) Tips for Preventing Dementia." Herbs or Drugs for Depression - What Works Best? There are 4 key supplements that work hand-in-hand to relieve stress by repairing the damage that's been done and restoring the body's ability to cope with life's ups and downs. You'll find my top choices here. Dealing with stress is an artform - the trick is finding what works for you. Here are a few simple but powerful options to try out. Specific dietary advice should be personalized - but there are simple guidelines that you can follow to get big results. Start at the top of the list and work you way through, as these healthy choices become your new habits.